Should India Conduct an ASAT Test Now? A decision to conduct an ASAT test has to be a nuanced one considering the strategic advantages such a test could offer and the diplomatic elbow room that it would give during negotiations on a space arms control mechanism. Space assets are vulnerable to a variety of threats that include jamming of communications, command and control systems/links, physical attacks on satellites and ground stations, dazzling or blinding of satellite sensors; high-altitude nuclear detonations (HAND). Rahul Saini asked: Has India formulated any firm response to Chinese ASAT test? Ajey Lele: No. In India in recent past only one statement related with ASAT was made by the DRDO’s Director General V K Saraswat on the sidelines of the 97th Indian Science Congress during Jan 2010. 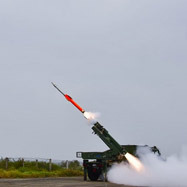 He is reported to have mentioned that "India is putting together building blocks of technology that could be used to neutralise enemy satellites". However, no further details in this regard are known. Rahul Saini asked: Do you think that China's ASAT technology has enough teeth to cause tangible threat to Indian space based assets? Ajey Lele: On Jan 11, 2007 China has successfully demonstrated KKV (kinetic kill vehicle) technology as a part of its ASAT capability. It has also been reported that they have covertly developed and successfully test the jamming technologies which could be used for temporality or permanent jamming of enemy satellites. Also, there are unconfirmed reports about China having developed 'Parasitic satellite' which could be modified as space mines. Rahul Saini asked: Do you think that India should develop its ASAT capability to respond to Chinese ASAT test? Ajey Lele replies: Yes. Any ASAT test by India on the similar lines to the January 11, 2007 Chinese ASAT test is not advisable. What India could do probably is to conduct a test in the low altitudes (say around 150 to 250km above the earth’s surface, China conducted the test at 850km giving rise to huge amount of space debris dangerous for the health of other satellites) to avoid the problem of space debris. India could also invest into satellite jamming technologies. Sino-US rivalry has been simmering for the past many years, as China has replaced Russia in the American scheme of things as its most potent adversary. China’s Missile Defence Test: Yet Another Milestone? China’s missile defence test could possibly up the ante in the region, with other regional powers considering measures in reaction. As part of its peaceful rise strategy, China has made resolute investments in the field of science and technology. One major aspect of this technological quest has been its investments in space technologies. China's success in this field is remarkable and has brought glory to the nation. However, at the same time, the anti-satellite test (ASAT) undertaken by China, during January 2007, has raised the fears of the weaponization of space.